Just one outfit today because, despite my intensely busy and fashionable week, I only remembered to take one outfit shot! Such a shame because I liked all my outfits this week and just forgot to take pictures. Did I mention it was an intensely busy week? 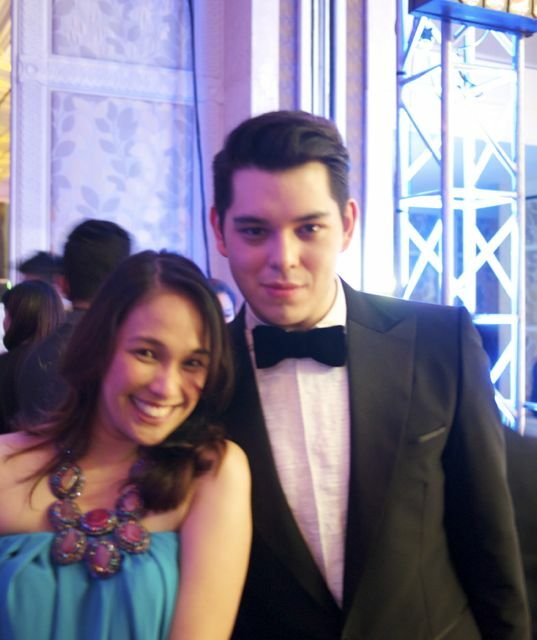 So I'll just show you what I wore to the Esquire Ball. 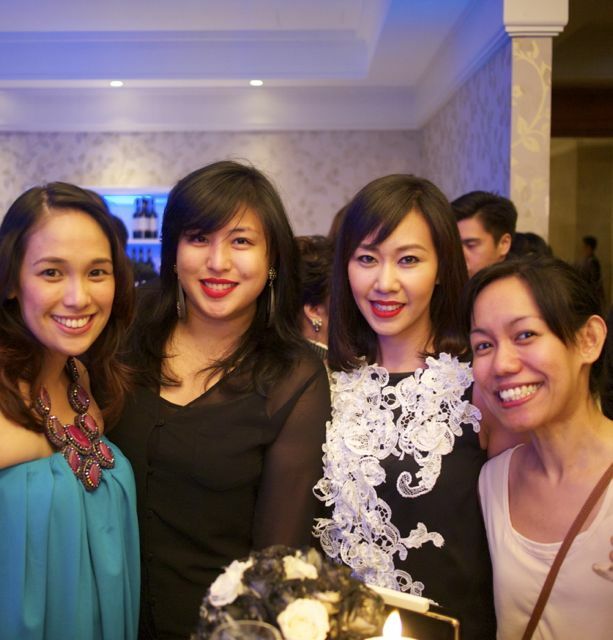 I'm wearing a column dress by Anja. I bought it from Catalogue 63. It's a beautiful bright turquoise that the camera sadly didn't capture. I wore purple accessories with it. Yes, I thought purple and turquoise go well together. I had been mulling over the usual turquoise-and-coral combo but, at the last minute, I decided I like purple. 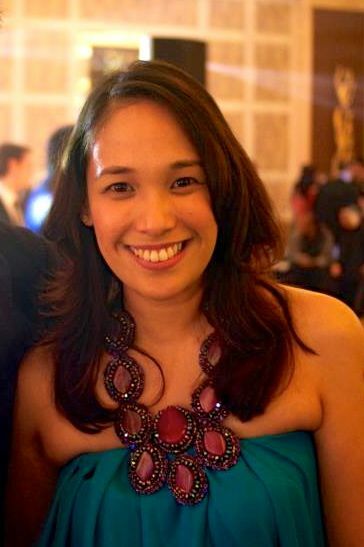 I wore my bib necklace of amethyst crystals that I bought from this tiny boutique at Glorietta 5, an amethyst bracelet by Nicole Whisenhunt and my purple satin-and-suede Kenneth Cole peep-toe heels. I chose a column dress because I had planned on bringing Iñigo with us. 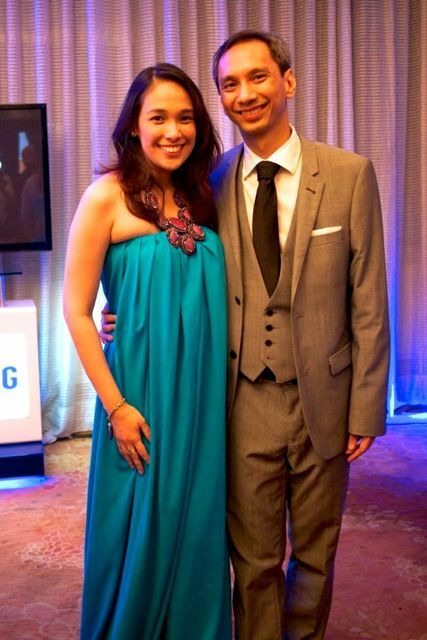 And Iñigo is still exclusively breastfed so I needed an easy access dress. As it turned out, the baby happily slept, which allowed his Mama and Papa to steal away for a few hours. Yey! I also wanted a column dress because it's not structured so it should be kind to a body that had just given birth. Oh, my man is looking mighty spiffy in his three-piece suit! I am so in love with him! 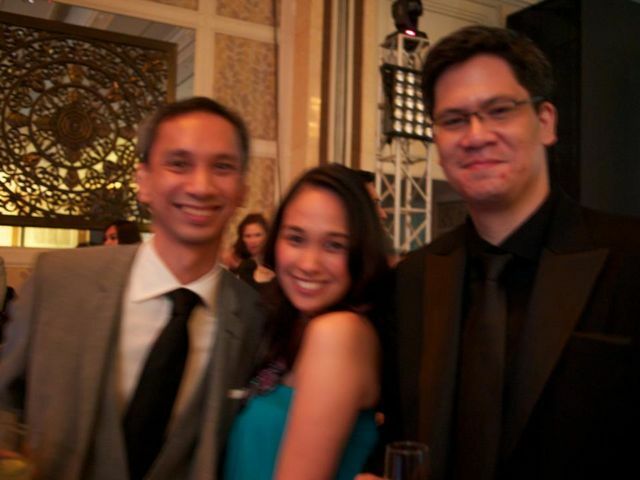 After a few glasses of wine, a blurry photo with Esquire editor-in-chief Erwin Romulo. I thought it was Richard! But I do prefer Raymond. He's the more cultured and sophisticated one! Anyway, I had wanted to bring the dress to the tailor to have it tweaked a bit. Sew up the sides and the hem so that there's less volume (I kinda look pregnant) and so it won't drag on the floor. But delivery was delayed so I didn't have time to go to the tailor. Still, I love my dress. Everyone loved it, too. So it was a fashion success! I hope you're having a fashionable Friday! 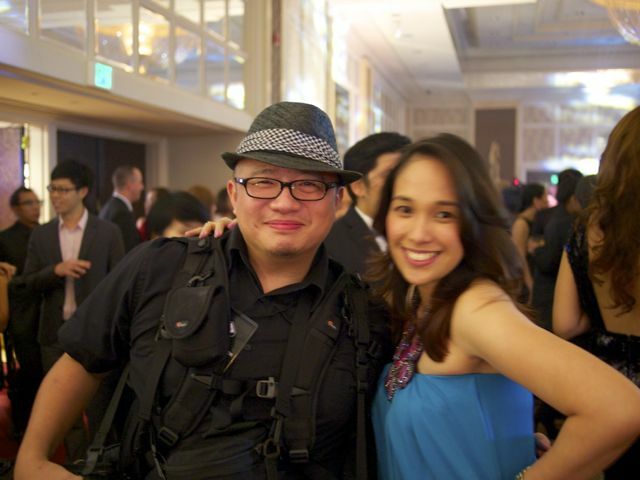 count me in on the number of peeps who love the outfit you wore to Esquire Ball. :-) love the turquoise and purple combination. You also know what helps? Bringing the baby out for a walk. We noticed that when he's outside, he doesn't really breastfeed. So we think maybe the reason he nurses so much is he's bored at home. Diba when we're bored we eat, too? LOL We don't feel like we're starving him kasi when he's hungry naman talaga, kahit saan pa kami, talagang he'll look for milk. And I'll nurse him naman. But when he's outside, he's distracted. Try it! Turquoise and purple (with a bit of gold) were my wedding colors! Love that combo.